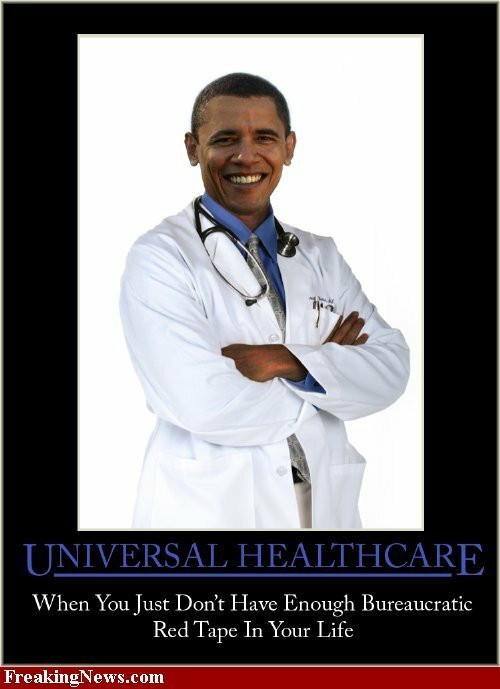 Health care reform is the most far-reaching, expensive, and ambitious item on President Obama’s visionary domestic agenda. In terms of cost, everything else pales in comparison. Not only would it cost far more than we can afford, it would significantly change American society in ways that aren’t wholly predictable. Most Americans accept that something needs to be done about the rising cost of health care. Added to that is a sense of some degree of unfairness, given that an estimated 40 million or more people do not have health insurance. To some people, it seems obvious that the government should regulate more and, in the most extreme view, serve as the single payer for health care, replacing other sources of health care funding. To others, government at all levels should not be involved in health care beyond regulating the safety of drugs and licensing medical professionals. To them, the free market seems best, with people paying for their own health care with employer-provided insurance, privately-funded insurance, or payment out-of-pocket. As usual, neither side has a completely workable answer. The issue of health care reform is further complicated by many related problems, and politicians and citizens alike can’t agree on how to deal with them. The Obama Administration and the Democratic majority in Congress want to rush through a health care reform bill by the end of the year. This serves the dual goal of securing an apparent early victory for the President on a major program, and it avoids repeating the lengthy and ultimately disastrous process employed by President Clinton early in his tenure, when his wife spearheaded the health care initiative. One thing that was learned then was that the more people knew about what was actually planned, the less likely they were to support it. I don’t think Congress should allow itself to be rushed on health care reform. We would likely end up with something like the huge stimulus bill of a few months ago, when virtually no member of Congress even read the bill before it was passed. Passing health care reform in that manner would be even worse, given the long-term implications. In my opinion, the federal government must meet its current obligations to citizens before it undertakes huge new obligations. These obviously include Social Security and Medicare, which people spent their working lives contributing to. Medicaid should also continue to provide medical care for those who are uninsured or don’t otherwise have reasonable access to care. However, these programs should be more closely monitored to prevent fraud and abuse, and they should be fine-tuned to reduce costs where possible. Examples include increasing the total income cap on payroll taxes, minor changes to eligibility ages, a review of and adjustments to the prescription drug program, and closer verification of need for Medicaid. After all that has been done — huge tasks in themselves — we can build comprehensive health care reform on the base of existing programs. In any case, we have to pay the costs. If that means higher taxes — perhaps much higher — then so be it. If we don’t want to pay, we shouldn’t play. It’s hard to know whether President Obama’s health-care “reform” is naive, hypocritical or simply dishonest. Probably all three. The president keeps saying it’s imperative to control runaway health spending. He’s right. The trouble is that what’s being promoted as health-care “reform” almost certainly won’t suppress spending and, quite probably, will do the opposite. The central cause of runaway health spending is clear. Hospitals and doctors are paid mostly on a fee-for-service basis and reimbursed by insurance, either private or governmental. The open-ended payment system encourages doctors and hospitals to provide more services — and patients to expect them. It also favors new medical technologies, which are made profitable by heavy use. Unfortunately, what pleases providers and patients individually hurts the nation as a whole. That’s the crux of the health-care dilemma, and Obama hasn’t confronted it. His emphasis on controlling costs is cosmetic. The main aim of health-care “reform” being fashioned in Congress is to provide insurance to most of the 46 million uncovered Americans. This is popular and seems the moral thing to do. After all, hardly anyone wants to be without insurance. But the extra coverage might actually worsen the spending problem. How much healthier today’s uninsured would be with that coverage is unclear. They already receive health care — $116 billion worth in 2008, estimates Families USA, an advocacy group. Some is paid by the uninsured themselves (37 percent), some by government and charities (26 percent). The remaining “uncompensated care” is either absorbed by doctors and hospitals or shifted to higher private insurance premiums. Some uninsured would benefit from coverage, but others wouldn’t. Either they’re healthy (40 percent are between ages 18 and 34) or would get ineffective care. Republicans made clear this morning that the single biggest obstacle to passing President Obama’s health care reform will be the question of who will pay for it. Before Sen. Chris Dodd (D-Conn.) could even begin the meeting of the Senate Health, Education and Labor Committee, several Republicans objected to holding the mark-up session at all. The backdrop for the heated words was a bleak letter last week from the Congressional Budget Office to the Senate Budget Committee, stating that the federal budget is on an unsustainable path, and estimating that the health care reform bill that the committee is debating will cost more than $1 trillion over 10 years. The CBO also said the bill will change nothing for two-thirds of the Americans who lack insurance today. White House officials later explained that the public-option insurance program, the most expensive part of the plan, had not been included in the estimate. Finally, in The Death and Life of Health ‘Reform’, Holman W. Jenkins, Jr., went on a flight of fancy into the future and looked at how the health care reform process might have worked out. Instead of massive federal spending of taxpayers’ money on priorities determined by politicians and bureaucrats, a flat tax replaced the current income tax, and employer-provided health insurance was taxed as income. Consumers changed their behavior, and the health care market changed with them. It all worked out — and most important, President Obama got the credit. Of course health care spending has increased. There are more different kinds of services available today than there were in the 70s. Many of those different services are diagnostic in nature. Magnetic Resonance Imaging (MRI) and the lithotripter both come to mind. The MRI is a fantastic diagnostic tool for the simple reason that its existence (along with Computerized Tomography – CT) has largely eliminated exploratory surgery. The lithotripter has largely brought to a grinding halt the practice of surgical removal of kidney stones. Eliminating surgery where possible ALWAYS saves money, and not just the cost of the surgery itself, which of course is quite expensive. Every incision creates a risk for infection. Every surgery requires a recovery period. Surgeries of the abdomen have extensive recovery periods (convalescence can last weeks) and a much higher risk of infection. One of the largest, and most overlooked, costs of surgery is lost time at work. With a lithotripter, the patient is suspended in a tank of water and the kidneys are pounded with sound waves, pulverizing kidney stones to the point that they can easily and relatively painlessly be passed in urine. It takes about 1-3 hours with a lithotripter, an hour or two in recovery, and then home. Some people can go back to work the next day, others need a couple days to recover. No incisions involved, no risk for infection. If stones have to be surgically removed, the surgeon must cut through several thin layers of abdominal or back muscle to get to the kidneys/ureters/bladder (stones can become lodged in any of those). Then, wherever the stone(s) is/are lodged must be cut open so the stone can be removed. Then the organ must be sutured, the the abdominal incision must be sutured. Then the patient has several days of convalescence in the hospital, and misses maybe 2 or 3 weeks of work. And all of this time, the patient is in PAIN, for which narcotic analgesics are typically prescribed. And, until the incisions completely heal, there is a risk for infection, a risk for rupture of the sutures (internal and external) and a risk for a re-opening of the wounds (internal and external). Lithotripsy is not cheap. But it is considerably cheaper and less risky than surgery. These are but two examples of hundreds. Medicine, in spite of the fact that we spend more on it now than we did 30 years ago, is cheaper than it was 30 years ago. Fifty years ago, the only money spent on communication was to Ma Bell. I don’t know the numbers off the top of my head, but we spend significantly more of our income on communication now than we did 50 years ago. Who reading this doesn’t pay for a land line, a cell phone, a fax machine, cable/satellite TV, and (of course) internet access? Fifty years ago, we spent no money at all on computers because the PC did not even exist. Today, not only do we spend money on computers, but considerable cash on peripheral devices and software. Fifty years ago, we spent almost no money on central heat and air. Today, it probably costs Americans an average of $200 a month to run one or the other. Taken out of context, medicine seems terribly expensive when compared to yesterday. So do cars. But 30 years ago, most vehicle were worn out by 60k-80k miles. Today, many engines are only just broken in at 40-50K miles (Toyota, for example – my ’98 Camry got better fuel economy at 50K miles than it did when I drove it home from the dealership). My 1999 Oldsmobile Silhouette minivan has about 170K miles on it. It needs a new power steering pump and a new knock sensor, but the engine is still going strong, and I’m still getting about 25 mpg on the highway. It has leather, 4 captain’s chairs and a fold-out bench seat all the way in the back, a CD player, a VHS player with an LCD TV, and dual-zoned AC/Heat, with jacks for 5 sets of headphones so some passengers can listen to and watch movies, while others listen to radio, and another might listen to a CD, all at the same time. Ever heard of an enantiomer? Do you know the significance of chirality, covalent bonds, or racemic mixtures? I bet not. The pharmacists and organic chemists that work for pharmaceutical companies have. Now, I’m not a big fan of many things done by big pharma, but I am also acutely aware that it takes massive intellect and considerable knowledge and education to produce any useful drugs. And if you agree that the pharmacists and organic chemists doing the grunt work at pharmaceutical companies should be paid, can you not see that the people that can come up with the money to pay these highly trained and skilled professionals should also be compensated for their risk? As good as the chemists are, they cannot guarantee to their patrons that they will discover/develop something new and useful. Many of today’s medical advances are in reality engineering advances. I’ve already mentioned 3 of them. There are hundreds, even thousands, of others. All of the folderol over “rising health care costs” ignores everything I’ve so far discussed, and ignores even more that I haven’t, enough to fill several books. As I’ve said repeatedly here, politicians are not our leaders. Do not trust them, any of them, to come up with cost-effective solutions. The nature of government is deliberation and inefficiency. Everything the government touches becomes more deliberative and more expensive. Medicine won’t be any different. What’s more, if health care is nationalized, you can expect a massive exodus of trained professionals from health care, creating an even greater shortage of health care delivery. I’ll be among them.